Adverse Childhood Experiences (ACEs) and other forms of trauma can impact the health and well-being of individuals throughout their lives. 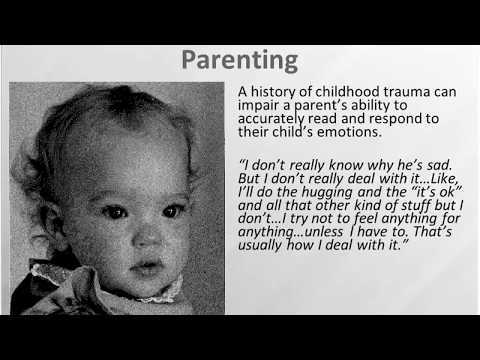 Individuals who are exposed to trauma often experience key challenges that affect parenting. This webinar focuses on the impact of ACEs and PTSD on parenting and intervention strategies for positive outcomes. Participants were exposed to best practices regarding assessment, psychoeducation, and utilizing a strengths-based approach when working with families. This webinar is appropriate for service providers from all adult and child-serving organizations.